Facts about Colorado Lily. Colorado lilies are brilliant long season flowering plants. They do well in temperate environments. The Colorado Lily keep their leaves on the water surface for practically the entire year while their blooming on the other hand happens for a better part of the year. In addition to the temperate environments, Colorado lilies also have the capacity to produce lots of peach/salmon colored flowers in a number of other environmental conditions. It has a high adaptive and survival rate. Many plant enthusiasts consider Colorado lilies as the pace setters in the family of hard lilies. Its impressive blooming and especially in waters with temperatures above 65 degrees (18 cel) is what makes this lily species a unique one. It is held in close comparison with the Texas Dawn. The Colorado lilies can have up to 140 blooms per season. The color of the blooms is peachy but it is usually affected by sunlight intensity and temperature variations. The Colorado Lily themselves have a salmon-orange coloration especially conspicuous in high summer. These colors give the Colorado lilies a signature appearance even from a distance. The flowers are usually held high above the entire foliage on specific sturdy stems. Spread throughout the seasons, the leaves of Colorado lilies are mottled in burgundy when they are still young and new. As they mature, the Colorado Lily turn to a refreshing green coloration that gives the pond such a lively appearance. The Colorado Lily pads are 4 to 8 inches (10 to 20 cm) in diameter. It is variegated which means it requires less sunlight. Unlike other lily species, the Colorado lilies exude a rather medium spread. The lily pads rise to the water surface. The Colorado Lily species reproduces through seeds. The flowers usually have a set of stamen and the pistil which enables the lily to go through self pollination. After a few days the pollinated flower sinks into the water thereby taking with it the fertilized complex. 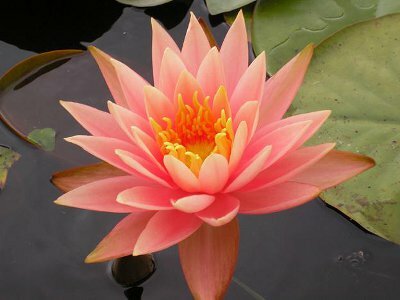 If you are growing the Colorado Lily as part of your pond vegetation, ensure that you apply fertilizer of about 6 to 8 tablets in every growing season.